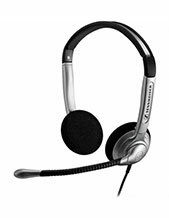 Jabra BIZ 1500 USB Duo Headset is the perfect entry-level device for contact centre agents all over the world. Using the device helps agents to perform more effectively and handle calls excellently, especially with the use of its noise cancellation technology, Hi-Fi sound quality, and HD Voice technology. 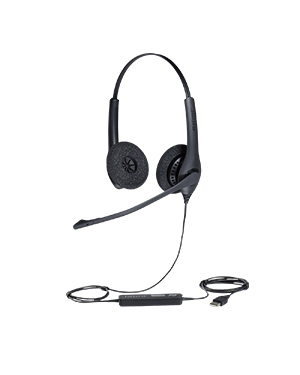 Jabra BIZ 1500 USB Duo Headset provides agents a comfortable option for contact centre agents. It has super soft ear cushions to protect the ears from all-day long usage. This is coupled with easily flexible microphone boom arm. 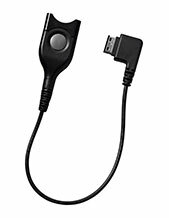 Jabra BIZ 1500 USB Duo Headset offers users incredible convenience with a control unit attached in the headset, which can be used by agents to adjust the volume of calls and sounds and to mute the calls. Do you want to have more details about this device? Call us now at Australia wide 1300 131 133 to talk to our experts! Jabra is currently headquartered in Ballerup, Copenhagen, Denmark, where most of its major operations are conducted. It is powered by approximately 5,000 employed experts, where the company is able to deliver high quality and innovative audio and sound devices and solutions in the global market, offering headsets, headphones, and speakerphones that can be used in homes and professional settings. 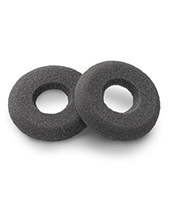 Since its establishment in the year 1869, Jabra has focused its efforts on excellent research and development activities, giving birth to great technologies and solutions, including the total noise cancellation technology.